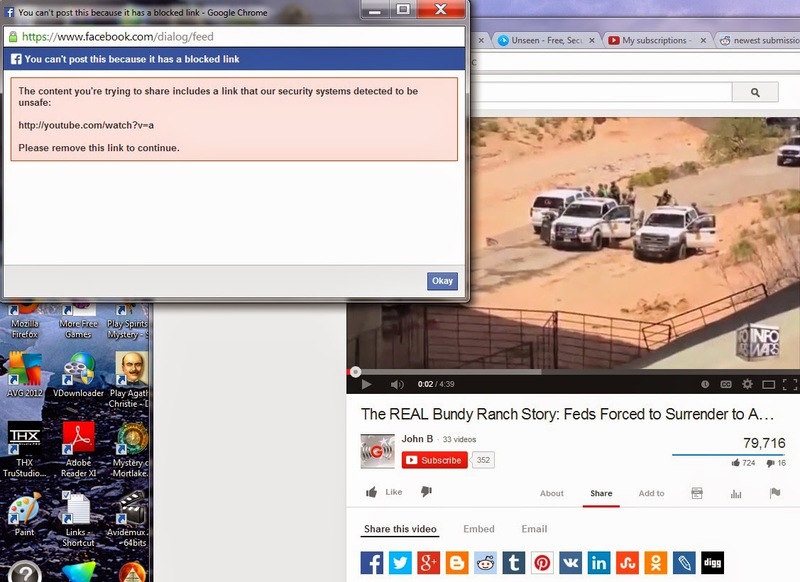 Facebook Blocks #BundyRanch Standoff Video From Being Shared! 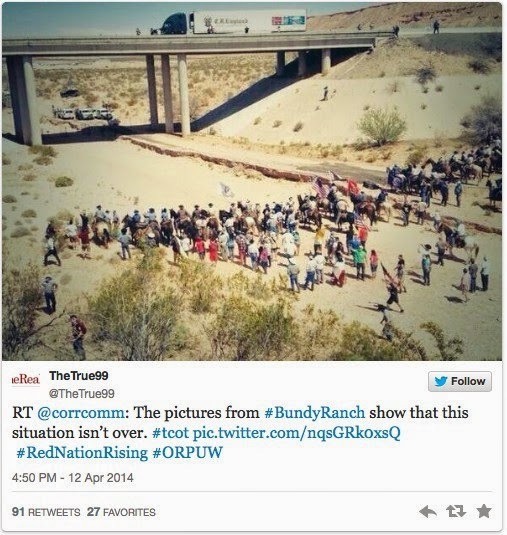 Home Editorials Facebook Blocks #BundyRanch Standoff Video From Being Shared! Over at Godlike Productions there is a claim that Facebook is blocking a copy of a video of the ultimate standoff between ranchers, militia and Cliven Bundy supporters which led to the Bureau of Land Management (BLM) releasing the cattle they stole from the embattled Nevada Rancher. Millions were watching the whole #BundyRanch standoff, backing Mr. Cliven Bundy against thugs that came in, listed special areas they called “First Amendment” areas, assaulted Bundy’s son, threw a pregnant women to the ground and killed some of his cattle while rounding them up and stealing them to sell at auction. The conclusion, shown in the video below was a historic moment, the first salvo of Americans standing up against big government overreach and winning!!! Why is Facebook censoring this? What about a YouTube link could be “unsafe” other than showing everyday Americans that when we unite, we can stop government tyranny? Watch the video that Facebook and the federal government doesn’t want you to see HERE.